I dare you to look up “Albanian Beaches” on google image search: they’re breathtaking. Turquoise gems in an untouched land. Secluded sandy coves, long stretches of teal, and Mediterranean perfection. 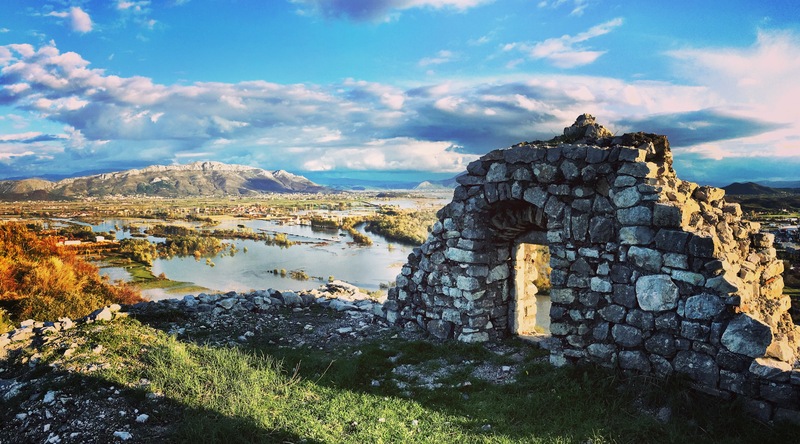 And if that’s not enough to make you hop on a plane to the southern Balkans, then the sweeping expanses of Albania’s Accursed Mountains will definitely do the trick. I saw a photo of Albania 8 months ago and fell in love. How did one of the cheapest and most beautiful countries in Europe not come up on my radar sooner? It was my new obsession. And as fate would have it, as we bounced our way over rocky highways and into long-awaited Albania, I ticked off another bucket list item: to reach 50 countries before my 30th birthday. It was going to be a good day. 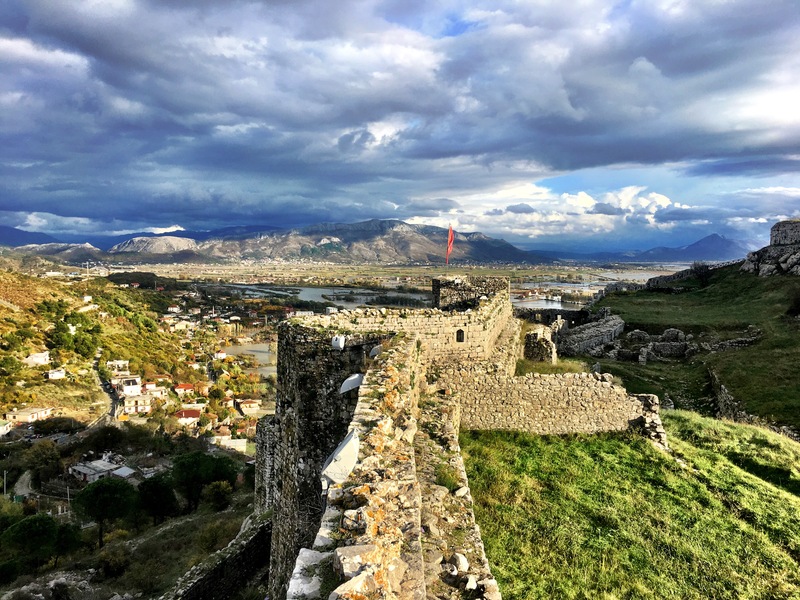 Shkoder was the perfect way to begin our stay. The little city in northern Albania is filled with lively cafe’s and bars lined up along a cobbled pedestrian street. The locals were the friendliest people we had met in the Balkans, and the cuisine was exquisite! Just beyond the city is a medieval fortress perched on a hilltop overlooking the expansive plains. To the north, the misty waters of Lake Shkoder serve up freshwater fish served at all the local restaurants in town. The place was wonderful. We spent a sunny afternoon exploring the fortress on the outskirts of the city. 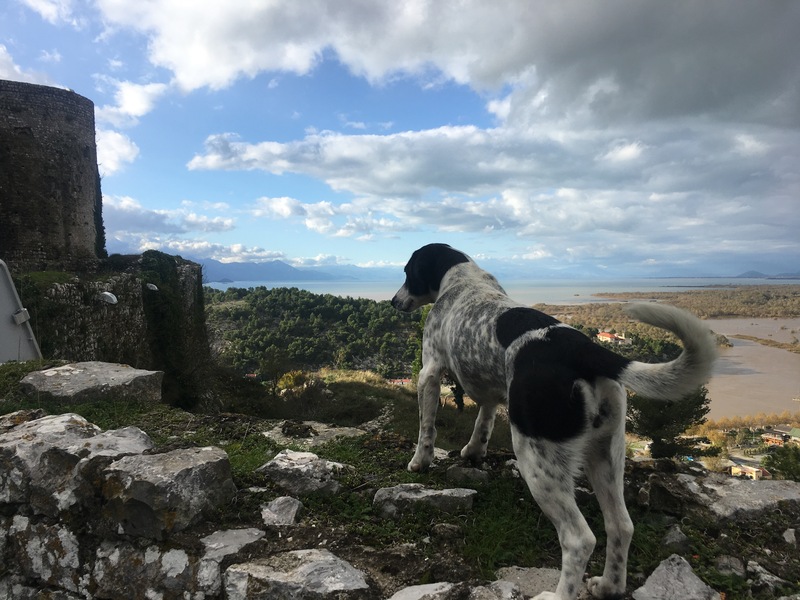 We acquired a stray dog as our tour guide for the afternoon ( a common occurrence for us these days) and he stuck by our side for hours and we hiked around the castle ruins. 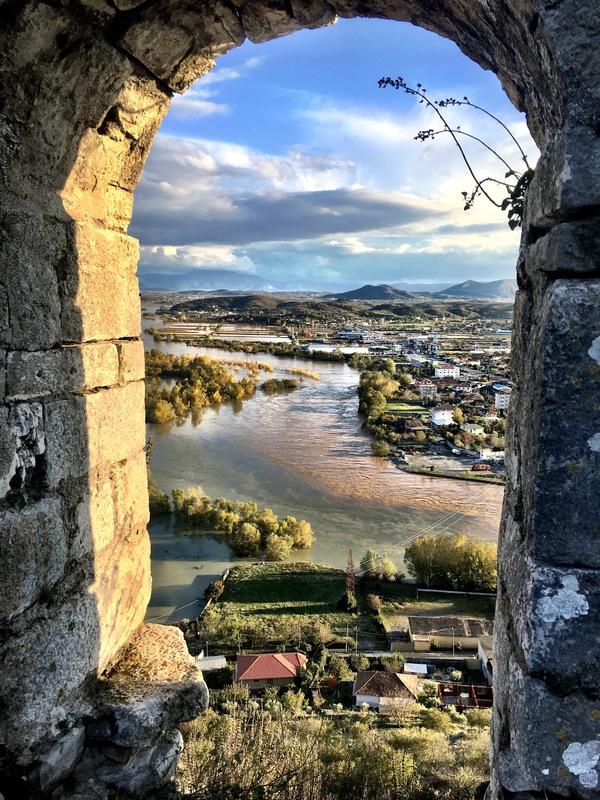 The view from the fortress was spectacular, you could see the beginnings of the lake, mountains in the distance and the surrounding homes that stretched out across the plains. Sadly, the storms we experienced in Kotor had not escaped Albania. The country just had the worst rainfall since the 1960’s. The plains were flooded and homes were half emersed in the water. Tirana, the capital, had to close their schools due to the flooding in the city centre. It put a damper on the otherwise idyllic setting. Unfortunately, despite all my pining for warm white sand beaches, we made it to Albania a little too late in the year. The rains and cold weather meant hiking trips in the mountains were near impossible (and totally out of the question with the clothing we brought). The coastal cities were all but empty, and the beaches were less tropical and more… grey. 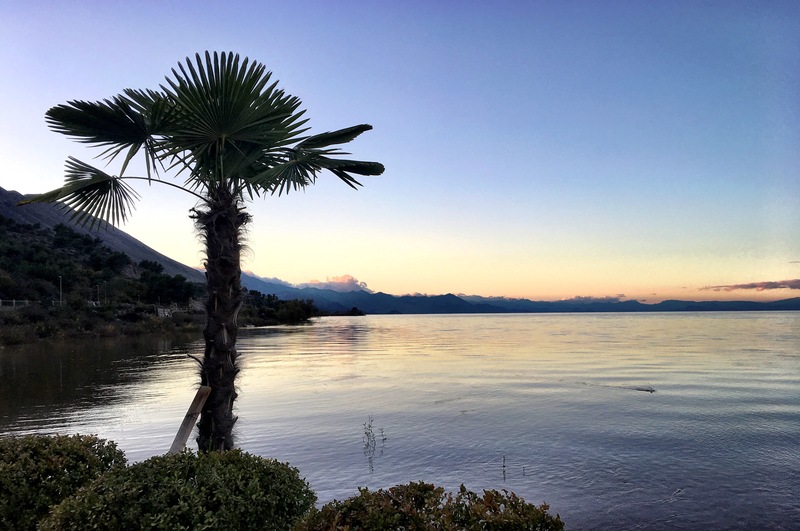 We decided that Sarande, one of the most popular coastal cities in the South, was just too far out of our way to make the trip in late November. Alas, my dreams were shattered! Regardless, we enjoyed our time in Albania. Everything was affordable. Food and wine were dirt cheap, and both were excellent! Albania was the first country we had come across in a while that had it’s own unique cuisine. All through the balkans most of the food has been Italian. Don’t get me wrong, I LOVE Italian food. But there’s only so much risotto and linguine that a girl can eat before going crazy. And the wine? I have been SO impressed with the wine throughout the entire region. Balkan wine isn’t really on my list of “must-try” wine regions, and yet, it is top notch (And you can’t go wrong with a half litre for 3 dollars at a restaurant). After a few days in Shkoder we headed south to Tirana. I have friends that have been teaching at an International school in Tirana for a year and a half now. They were nice enough to let Jodon and I stay with them for the weekend. For most of our stay we wandered around the neighbourhood, checking out fun local pubs and favourite restaurants. The city of Tirana is strange. 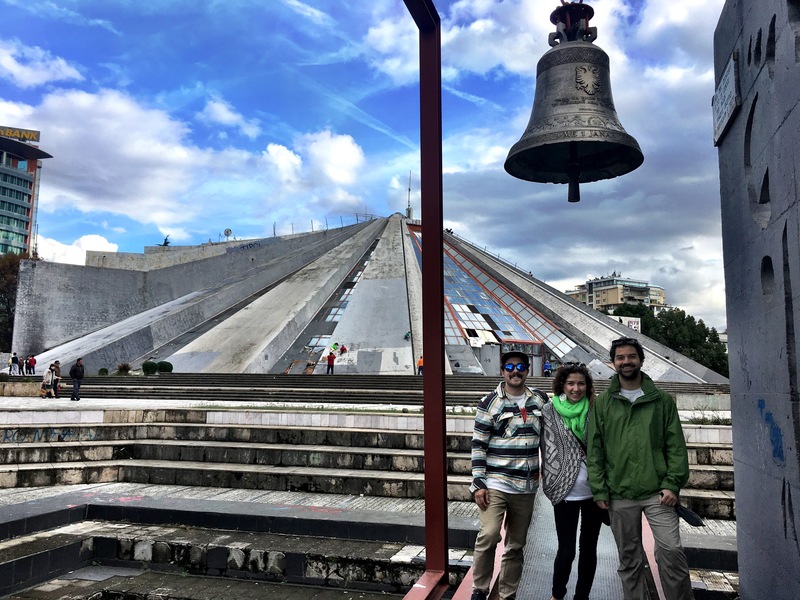 It has an unusual combination of modern buildings and communist style architecture: such as the concrete pyramid that used to be the presidential headquarters. An impenetrable looking conical fortress that sits right in the heart of the city. Once an important government building, now an area where teens climb up the steep sides and sit, watching over the city. Jodon looked up some sites for us to see while we were in Tirana. “It looks like Bunk Art is the number one thing to see on Trip Advisor. It’s just ten minutes from here. Interested?” He asked. I imagined an abandoned old war bunker with graffiti. Something that had once been an eye-sore but that the city had now commissioned for more professional looking spray paint art. Colourful, creative, and a good use of old communist spaces. It was nothing of the sort. I feel like the name “bunk art” is a little misleading. “Bunk,” OK. “Art?” No. But we were pleasantly surprised nonetheless. The place was an old war bunker built sometime after WWII. It was meant to house the government in case of a nuclear or chemical attack. The place was massive. It could hold a community of hundreds for years on end. The bunker was built into the side of a mountain and went deep underground. It was filled with narrow concrete corridors and bare rooms. Imagine the most depressing place to live ever: no windows, no art (ironically) and no creature comforts. This was Bunk Art. The rooms were decorated with photos and information about the communist rule over Albania. The fortress was a maze of small square rooms used as bedrooms or meeting spaces, but also, surprisingly, held a large theatre room for entertainment. We wandered around the bunker for a couple hours, lost inside the monotony of rooms, learning about Albanian history. The whole time I just kept waiting for the “art” part, but it never came. Our stay in Albania was nice, but not quite what I had anticipated. The crystal waters and white sand had disappeared with the warm summer months and we were left with rain and grey. It’s times like this that I realize why it’s called an “off season”. Although I still enjoyed Albania, I’ll make sure to make my next trip during the summer! 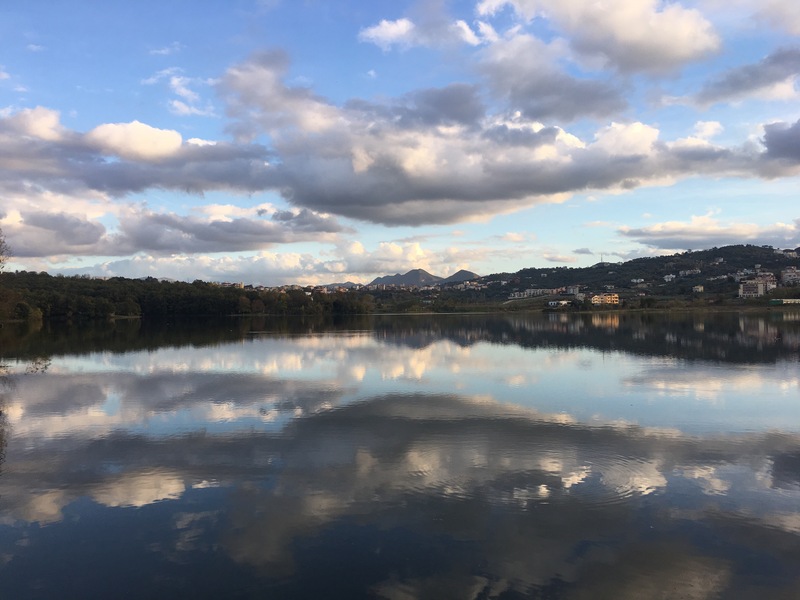 This entry was posted in Albania, Europe and tagged 50 Countries, Albania, Beaches, Mountains, Off Season, Shkoder, Tirana, Travel by hilarylust. Bookmark the permalink. Oh, these photos are breathtaking! Never thought about Albania but you gave my a new idea for my list!